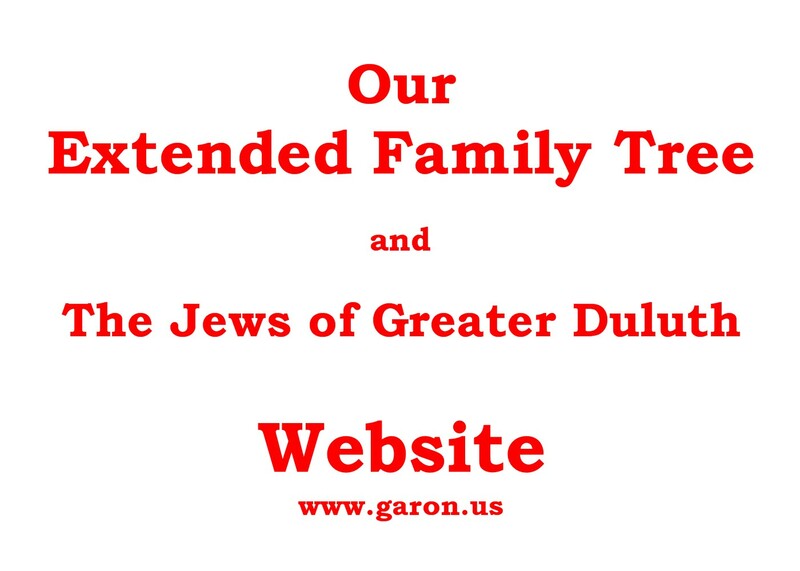 Website Promotional Materials created to advertise the website are archived on this page. They are available for anyone to use to help promote the website to our friends and relatives. Designed for printing on 5 x 7 inch card stock. High resolution at 1400 x 1000 pixels. Text can be copied and pasted for additional uses. 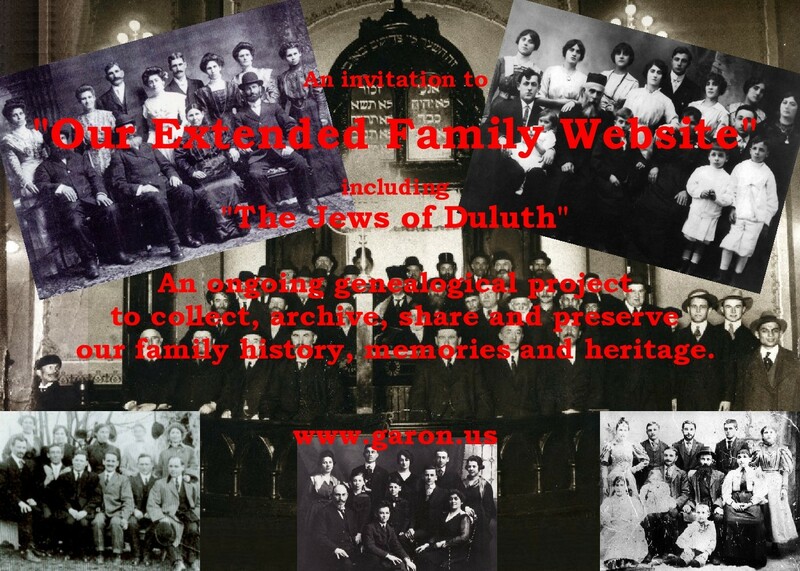 Family Names - - "I love Duluth"
Many of our Jewish ancestors immigrated to the United States from Eastern Europe and settled in Northern Minnesota, Northern Wisconsin and Upper Michigan. They came in the late 1800s and early 1900s. 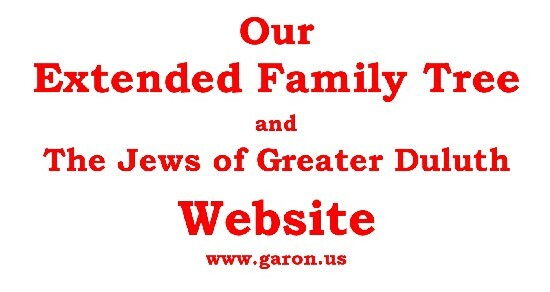 This website begins with the Garon, Kaner and Karon families and their extended relatives and includes up to ten generations going back to the late 1700’s in Eastern Europe . 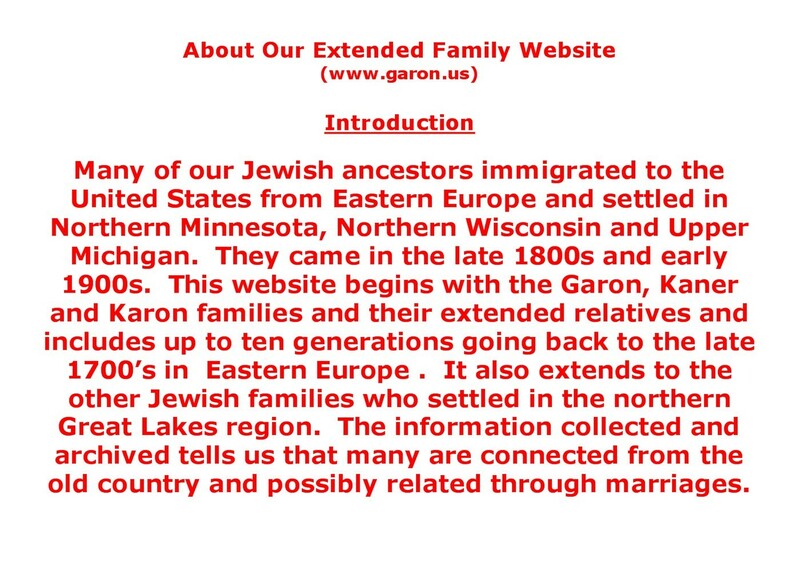 It also extends to the other Jewish families who settled in the northern Great Lakes region. 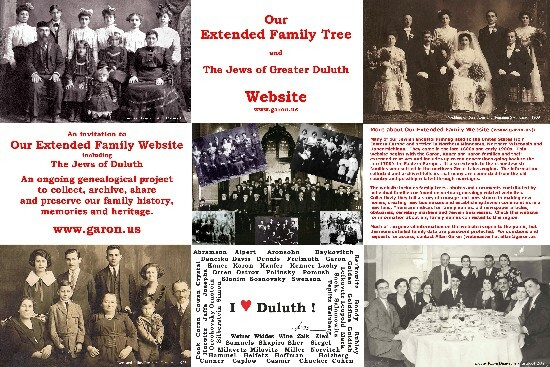 The information collected and archived tells us that many are connected from the old country and possibly related through marriages. The website includes family trees, photos and documents contributed by individual families or found on various genealogy related websites. Collectively they tell a story of courage and persistence in making new homes, creating new businesses and establishing Jewish communities in a new land. 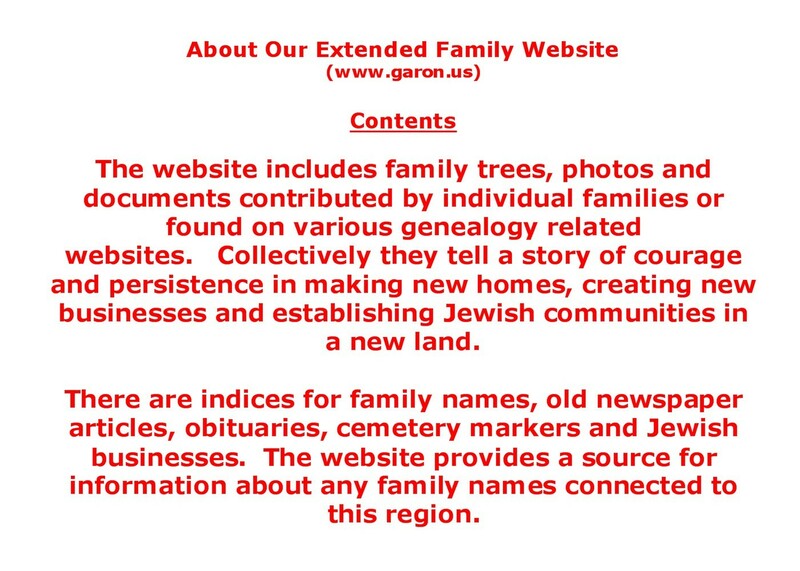 There are indices for family names, old newspaper articles, obituaries, cemetery markers and Jewish businesses. Check this website for information about any family names connected to this region. Designed for printing as a 20 x 30 inch poster. High resolution at 3000 x 4500 pixels. Developed with Movie Maker as an mp4 file. 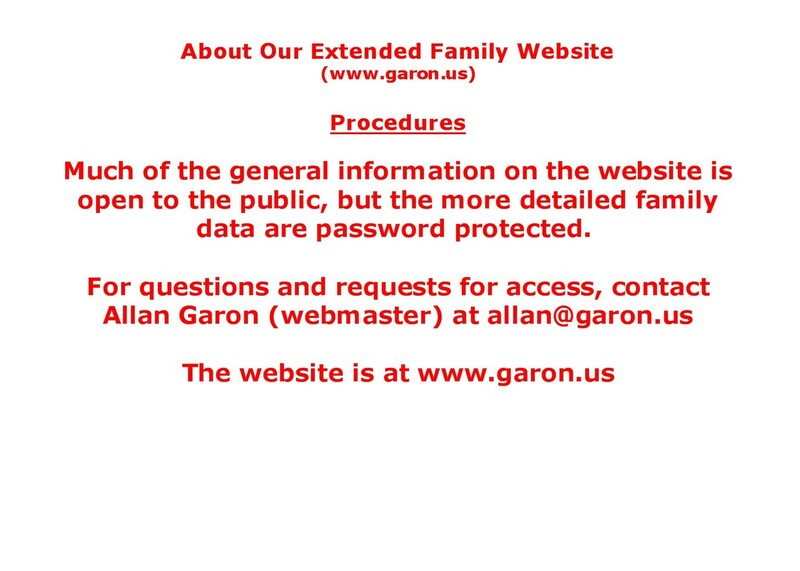 click here or on the image to view the folder containing the slides. To capture a slide, open the file and right click to save. Page created in April 2014.